New spa-goers at the Hilton Sedona Resort at Bell Rock’s Eforea Spa will be pleasantly surprised upon arrival. 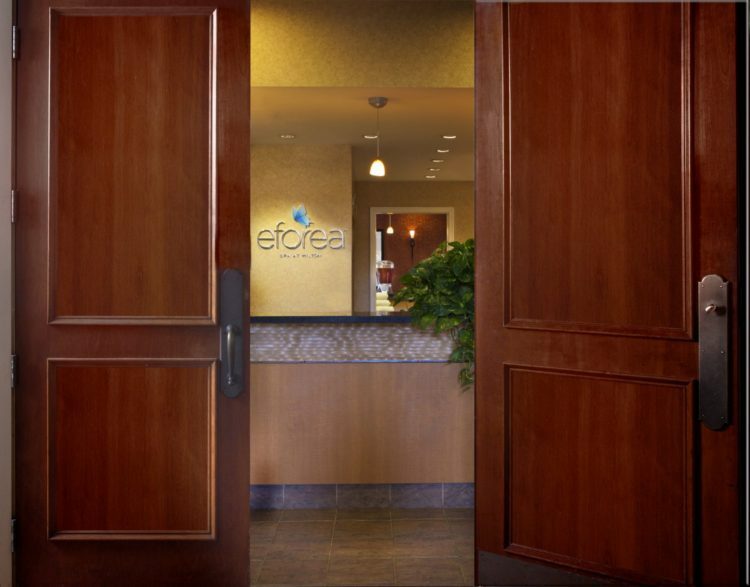 Following suit with the 21 other global locations of Eforea, the Sedona location has received a new menu of treatments as well as a revamped and updated interior. The new menu includes all previously loved treatments as well as three new unique, carefully-crafted, short-duration Journey Enhancements. These treatments are packed with ancient healing methods plucked from the world’s most renowned spa and health cultures. Master Therapist Sean Jordan, in collaboration with Hilton’s wellness team and many Eforea Spa team members, developed these 25-minute mini-treatments for those who have limited time. The short-term services spotlight regions of the body with condensed areas of nerve endings and tension and can also be combined with long-duration treatments such as the favorite Essential and Escape Journeys. Signature Terra Roja Experience, a 105-minute treatment featuring a double exfoliation with honey and sage, sacred red mud body wrap, and full massage. Signature Full Circle, a 90-minute massage treatment inspired by the four directions of mind, body, heart and soul. The journey includes cleansing, exfoliation, traditional massage, grounding stones, a cocoon wrap and energy work. Signature Sedona Stone Facial, a 90-minute hot stone facial designed to melt away tension and fatigue with smooth warm stones used to gently massage the face, neck shoulders, arms hands and feet. Signature Red Earth Cocoon, a 60-minute loofah and yucca root wash exfoliation finished with jojoba body butter. Signature Therapeutic Thermal Journey, a 60-minute massage that is reminiscent of hot desert days and cool desert nights using hot stones, cold stones and warm and cold compresses. Signature Anti-Aging Facial, a 90-minute facial designed to turn back the clock with double enzyme exfoliation and botanical mask. The spa’s revamped look included a new logo design in addition to a warmer and more comfortable atmosphere. Spa guests can also enjoy a new network of physical therapists provided by Exclusive Physical Therapy Concierge Services. For more information on the spa’s location, hours and other treatments, visit its website by clicking here.